RealEstateRama Hanley Investment Group Arranges Sale of New-Construction Single-Tenant Raising Cane’s for $3.5 Million in Fontana, Calif.
Hanley Investment Group Arranges Sale of New-Construction Single-Tenant Raising Cane’s for $3.5 Million in Fontana, Calif.
FONTANA. Calif. — (RealEstateRama) — Hanley Investment Group Real Estate Advisors, a nationally recognized real estate brokerage and advisory firm specializing in retail property sales, announced today that the firm has arranged the sale of a brand-new single-tenant Raising Cane’s Chicken Fingers quick-service restaurant situated on a pad to a Sprouts-anchored shopping center in Fontana, Calif. The sale price was $3,512,500 for the triple-net absolute ground lease, representing a record-low cap rate for a Raising Cane’s in the Inland Empire, and the second lowest cap rate nationwide only to the single-tenant net-lease Raising Cane’s in La Habra, Calif., which Hanley Investment Group completed 12 months ago. Hanley Investment Group’s Executive Vice Presidents Kevin Fryman and Bill Asher, along with Vice President Jeff Lefko, represented the seller, Adler Realty Investments, Inc., based in Woodland Hills, Calif. The buyer, a private investor based in Covina, Calif., was represented by Kevin Boeve at Marcus & Millichap in Ontario, Calif. The 0.57-acre property is occupied by a 3,233-square-foot Raising Cane’s with a drive-thru at 16988 S. Highland Avenue at the entrance of the brand-new Highland Village shopping center. The rapidly-growing Louisiana-based restaurant company, which is known for its ONE LOVE® – quality chicken finger meals, opened its Fontana location in February 2019. 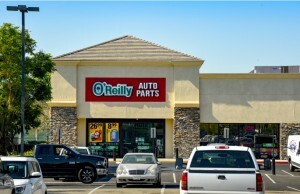 Adler Realty Investments recently completed the development, which is anchored by Sprouts Farmers Market, and also includes Jack in the Box, Burgerim, Jersey Mike’s, Oggi’s Restaurant, Mountain View Tires, Pacific Dental and Quick Quack Car Wash. The property is immediately adjacent to the 210 Freeway at the Sierra Avenue entrance/exit and has excellent accessibility, identity and visibility along the 210 Freeway. “We successfully executed a pre-sale marketing strategy and secured a 1031 exchange buyer based in Southern California prior to completion of construction and the tenant opening for business,” said Fryman. The property enjoys exposure to a high volume of commuters that travel along the 210 Freeway, one of the major east/west freeways connecting California’s San Gabriel Valley and Inland Empire. The average daily traffic count is approximately 119,000 at the Sierra Avenue exit. The freeway-visible pylon sign provides outstanding exposure for Raising Cane’s by eastbound and westbound traffic, Fryman noted. “Highland Village is located directly across the street from the Fontana Promenade, the site of a future new Walmart Supercenter that will drive a tremendous volume of regional traffic to the area,” Fryman added. The sale of Raising Cane’s comes on the heels of the sale of Jack in the Box at Highland Village, which was also completed by Hanley Investment Group in the last three months. The Jack in the Box ground lease, which sold for $2,375,000, traded hands on a pre-sale basis prior to the tenant opening for business. In January 2019, Hanley Investment Group completed the sale of a recently completed Raising Cane’s in the Minneapolis metro area. The purchase price was $5,025,000 for a 2,780-square-foot building with a drive-thru, representing $1,808 per square foot, the highest-priced Raising Cane’s to trade in the Midwest. According to Asher, this sale, which closed escrow within 1 percent of the listed price and a cap rate of 6.03 percent, represents the lowest cap rate for a Raising Cane’s in the Midwest above $5 million. 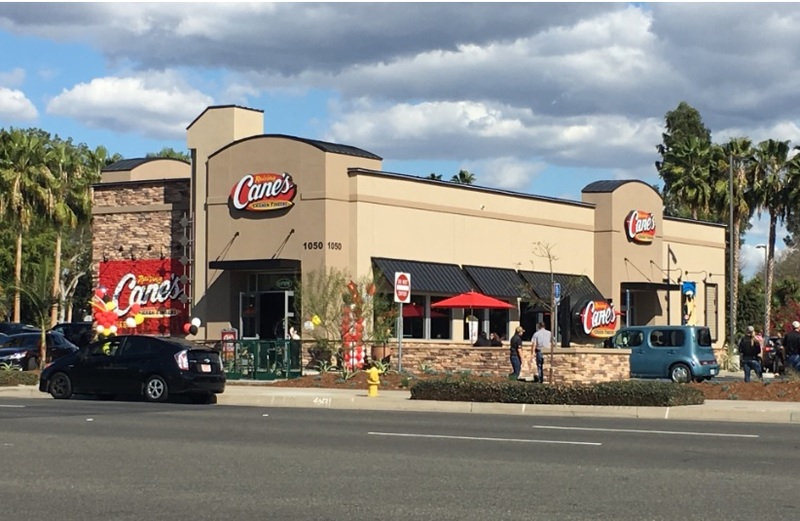 In late February 2018, Hanley Investment Group sold a newly remodeled Raising Cane’s in La Habra, Calif., at a cap rate of 4.04 percent, representing the lowest cap rate of all time in the U.S. 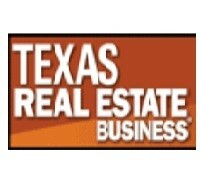 The purchase price of $3.96 million for a 3,239-square-foot building with a drive-thru, represented $1,222 per square foot.